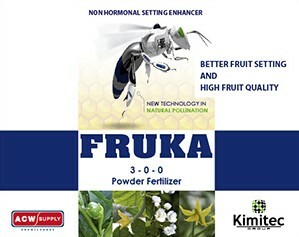 Kimitec Fruka is based on seaweed extract (Ascophyllum Nodosum) and molybdenum which is designed to increasing fruit set thus increasing overall and yield. Fruta is used to aid in bloom development, blooming quality and fruit set with a higher number of flowers. The effect of the Fruta is due to the synergy of the specific ingredients.